Just wanted to thank you for doing such a great job on my daughter’s Lexus. This is the third or fourth time I've been to you guys and I'm always really happy with what you do how you treat your customers. Keep up the good work. I have taken my 2006 Scion TC to California Auto Body North twice over the last five years. Every time I have been really happy with their services and how quickly my car was ready. Every time my car came out looking brand new. Junior Murillo, the manager, has always been really helpful and easy to work with. I will always take my car there for any auto body repairs and recommend them as well. Victor Murillo has worked on several of my cars. BMW 745i, Land Rover LR3, Optima SX and Hyundai Santa Fe. They're able to take care of any job no matter the size. As you can see the range of value in the cars above California Auto Body North puts as much time and care in each, regardless of the prestigious value placed on them. 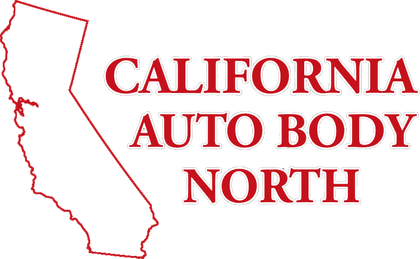 Over the years I've had Allied Insurance Company and Liberty Mutual and regardless of where they try to direct me for my repair my choice, it is always California Auto Body North. In addition, they have a great relationship with Hertz and if you need a car while yours is in the shop they can arrange a ride for your convenience. There are a lot of big names shops out there which I compare to shopping at Walmart. If you don't really care about the quality of the product, the service you're going to get, and are merely looking for a super low price you may find it elsewhere. However, if you're looking for a quality repair without having problems down the road, and great customer service I suggest you give them a call for your next repair need. I have a Mercedes ML350. I love my car. After I got an accident, I was so worried to give it to right people to fix my car. I searched around and somebody introduced these people to me. When I got my car, it was completely beyond my expectation. They painted the bumper, in a way that nobody could recognize that part is repainted. I recommend these people. I have to give my special thanks to Junior and the guy who painted my car bumper. Where do I begin... My family has been using this body shop for as long as I can remember and has always had excellent results so this was my first personal experience. My RED Mazda 3 got stuck behind a gravel truck in Berkley and had rock chips covering the whole car. I have AAA for my insurance and this is also one of their preferred body shops so it was a no brainier as to where I would take my car. I dropped the car off at closing and the next morning both AAA and I had a quote as to the cost of repainting the whole car and it was approved. In the course of one week Junior Murillo kept me up to date on what was happening and even sent me photos of the progress *I love my car and was curious as to the process*. He also had all of the dents that were in my car removed, there were some pretty bad door dings and dents on the hood from city life. The car was completed in one week’s time and looks just UNBELIEVABLE!!! It looks like night and day and is no comparison to what a mess it was before! The paint quality and depth is AMAZING! It looks better than new!!! They took great care of my car while it was in their hands even had the entire car detailed before giving it back to me! They also gave me great instructions on caring for the new paint too! I will always use these guys for all of my auto body needs! I give them an A+ 100% Check out the photos of my car in their PHOTOS section see for yourself! Just picked up my car from California Auto Body. It looks freakishly good. No, seriously, I'm scared of how amazing it turned out! I hope to never NEED to use them again, but will do so without hesitation. The office staff was professional and friendly and I was given a ride to the car rental place the day I dropped off my car--a courtesy I didn't expect, but am grateful for. They do good work and are very professional. We have used them three times with great results. Their customer service was excellent. Our vehicle was ready earlier than they said it would be, and their prices are very fair. They returned our car and it was washed and detailed and smelled brand new - a nice touch since it was in for body work.